Summary : Established in 2000 & Powered by MicroGaming - do we have to say anything else? The turn of the millennium saw the launch of the Royal Vegas online casino site. This Microgaming software powered casino site soon became a trusted and dependable casino for many tens of thousands of online casino game players. They have recently launched their very own mobile gaming site, and they chose to stick to using Microgaming’s gaming platform as the engine that powers this all singing all dancing mobile site. They are of course licensed and regulated, and all of their casino games are being audited each month, which ensures you that you are accessing fair and randomized gaming outcomes. Some of these games can and do pay out some life changing jackpots. Should you wish to move your land based or online gaming action into this exciting new mobile gaming environment, you will not find a better run site at which to do just that than at the Royal Vegas Mobile Casino site. Feel free to browse through our review of this mobile casino site. They really do have a lot to offer you and when it comes to great games, excellent service and fast payouts they always deliver the goods. The list of Microgaming’s mobile slot games, which you can access at the mobile casino site offered by Royal Vegas Casino, is continually growing. Below however, we have only made a tiny listing of some of these games which may be of interest to you depending on what mobile phone or mobile device you are using to access their site. Just remember that there are lots of games to play on each of these devices. iPhone Game – The iPhone is a perfect device for you to play the single zero European Roulette game on. Thanks to the easy-to-use touch screen feature, placing your chosen wagers onto the Roulette table’s betting layout is a breeze. All of the usual bets are on offer and the graphics really are perfect. Android Game – Fun to play slots that come in all shapes and sizes are available to Android mobile phone users. One that really is worth playing is the 3 reel, five payline Jackpot Express game. This game has a different sized top prize payout attached to each of those five lines. Blackberry Game – Many slot players playing at this casino site on their Blackberries love the easy of playing the Fruit Fiesta slot. Not only is it a low stake game to play, but it also comes with a live progressive jackpot, that is there for the taking! Tablet Game – How about giving the Jacks or Better Video Poker game a try if you have any type of Tablet device. This game has a huge payout percentage of 99.54%, so if you play this game at your best you are ensured of the best potential winning opportunities! iPad Game – A great mobile slot game to play, if you are accessing this mobile casino site on an iPad, is the Avalon game. Be on the look out for the Free Spins bonus game that can be triggered as it awards a random multiplier that can be a very high valued one and one which will enable some massive payouts to become a reality. Should you have never played at a Mobile Casino site before, be aware that there are a lot of different types of Mobile Casino Games that can be accessed on a Tablet device or a Mobile Phone. If this is the case you may be interested in our sections of the website listing all of the Mobile Blackjack, Mobile Roulette and Mobile Slots available at the Royal Vegas Mobile Casino site and our other featured mobile casinos. Player Bonus Offers – Your money is always going to stretch that little bit further when you opt to play at the Royal Vegas Mobile Casino site. To get you off to what could end up being a winning start, a new player bonus will be available once you sign up as a new player. Top Casino Games – Thanks to Microgaming and their massive suite of mobile games you are never going to be left disappointed in regards to the number of different casino games that are available at this mobile casino site. Low or High Stake Levels – Royal Vegas Mobile Casino caters to players of every skill level. It doesn’t matter if you like to low roll or are a high rolling player. Not only will you find plenty of mobile games that suit your playing style, they will always roll out the red carpet and give you that special VIP treatment that will make you feel extra welcome in this Royal casino. Quick Paying Casino – One aspect of any mobile casino that is going to make or break a particular gaming venue, is their ability to pay winners rapidly. 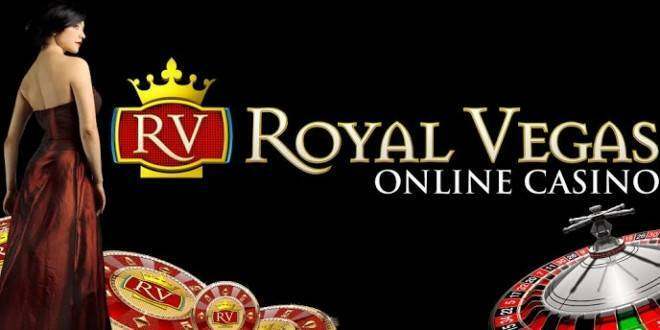 This is where you will find no stone left un-turned in regards to getting your winnings paid out to you quickly and without any fuss, because the Royal Vegas Casino has always been a quick payer! 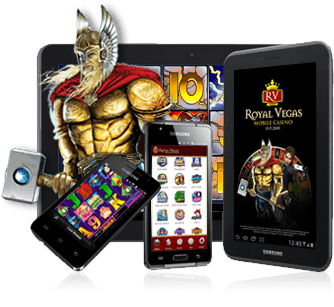 Join Royal Vegas Mobile Casino Now!